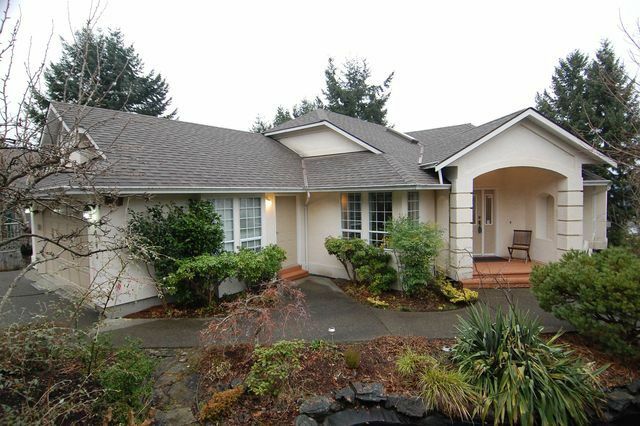 THIS WELL MAINTAINED 2900 SQUARE FOOT FAMILY HOME is located in the Properties at Maple Bay and offers views over Quamichan Lake and surrounding mountains which are enjoyed from the living areas, spacious master bedroom and either of the 2 decks. The front yard is nicely landscaped and relaxing with a pond and waterfall. A propane fireplace warms the living room on chilly nights, and skylights along with several sliders allow for plenty of natural light. Downstairs there is a huge family room, the third bedroom, a 3 piece bathroom, and plenty of space to configure however you please. A separate entrance and some roughed in plumbing may lend itself to extended family. Other features include approximately 600 square feet of crawlspace for extra storage, built in vacuum, security system, and a 2 car garage. This home is priced to sell and immediate possession is possible. Don't delay!